“Francisca Vieira’s designs show the riches of Paraiba as each piece brings a wealth of knowledge and local traditions. In every outfit you can map the entire production chain involved in the production of sustainable fashion “This excerpt sums up the essence of story by Sarah Brunebarbe with photos by Charlotte Joly, from Europe Ecologie-Les Verts, published in Textile au Tour du Monde. 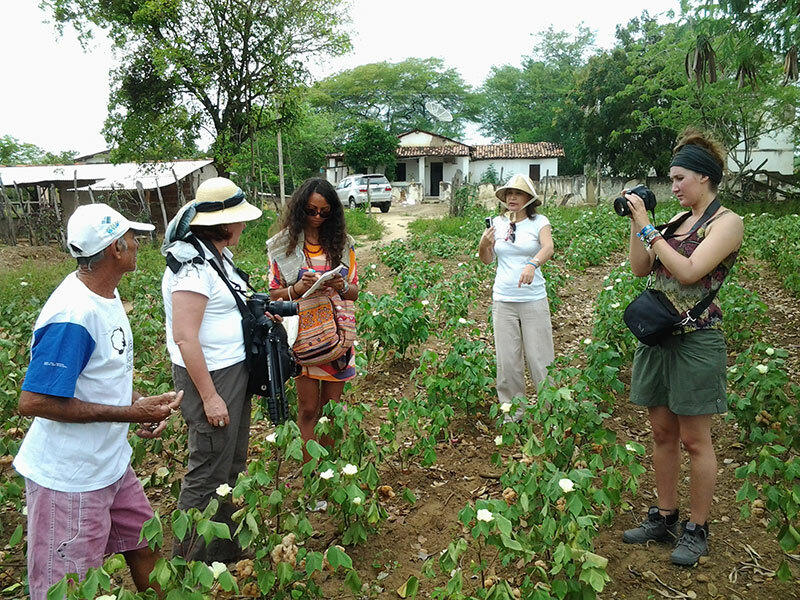 In October 2014, the journalists were in Paraíba to follow the organic color cotton harvest, the base of the Natural Color Cotton group – NCC Ecobrands’ production. From the agenda “Slow Fashion” they knew the showroom and talked with the designer Francisca Vieira, head of the group of ecofriendly products. 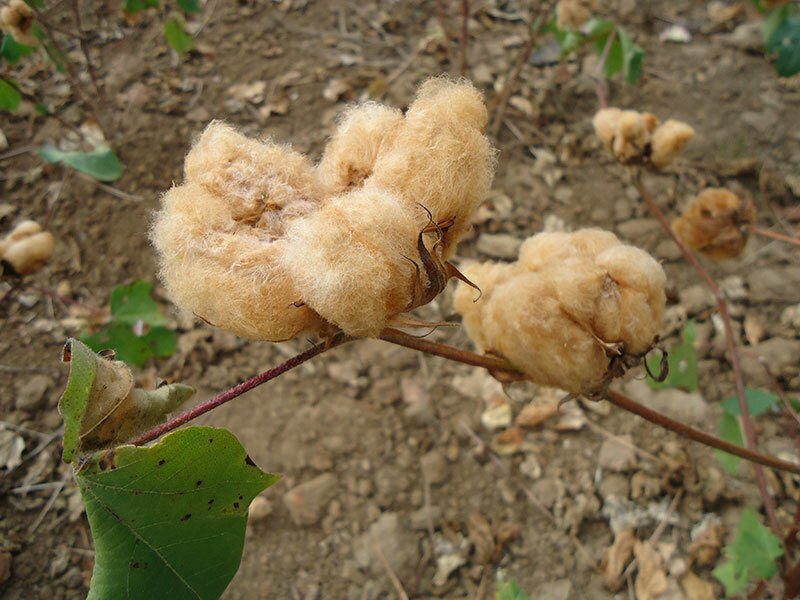 The cotton produced for NCC Ecobrands is already grown in colour. It is an organic produce and has the IBD certificate. Francisca Vieira joins the journalists in a visit to the NCC Ecobrands organic colour cotton harvest. 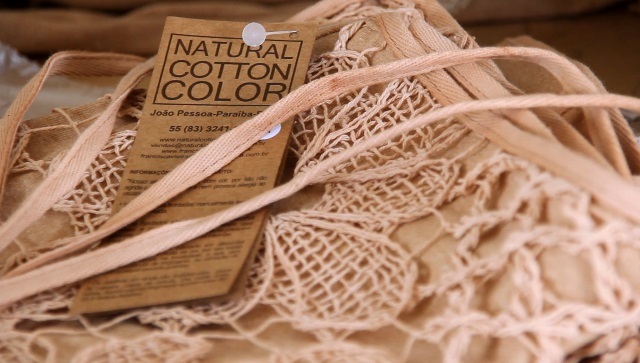 In the text, Sarah reinforces the importance of this decision: “Aware of the importance of preserving natural fibers and in regard to social development, Francisca – who leads the NCC Ecobrands group – sources the organic color cotton producers in the local region and invests in paying the best price on the Brazilian market. Thus, by opting for locally produced organic color cotton and making use of traditional handcraft techniques, the designer chose to act within the “Slow Fashion” movement, in which 50% is creativity, 50% is common sense, and sustainability is 100%. 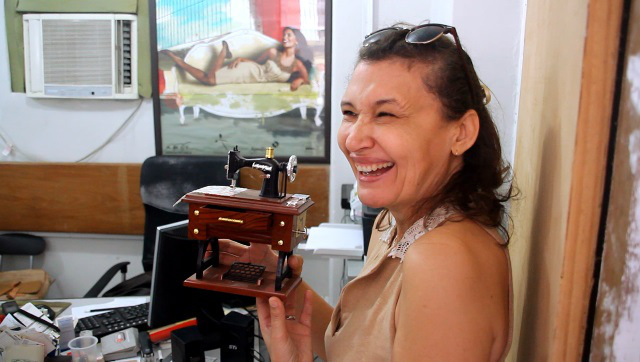 Francisca Vieira’s dresses, blouses and skirts won the international market with the support of the Brazilian Association of Textile Industry – ABIT and above all because they have the certificate of organic products issued by Biodynamic Institute – IBD – given to the 15 organic color cotton producers in Paraíba, who grow for the NCC Ecobrands group. In regard to the market of Fashion, journalist Sarah talks about the timeless character of the designer’s creations. Francisca justified in reporting that their fashion is “unfashion”. “It is a fashion out of fashion”, she adds. For the journalist, besides the beauty, the creative design and differentiated and exclusive result of color cotton clothing, acceptance by the public seeking exclusively natural and organic materials is guaranteed. This is a commitment, a struggle against the invasion of synthetic fabrics in fashion. “If you throw away a polyester piece of clothing, it will take 120 years to disappear in nature. We know that these synthetic materials pollute the oceans, compromising the entire food chain and will, in the end, end up at our table”, explains the designer in the report. What Francisca Vieira creates is ‘unfashion’—out-of-fashion fashion. In Slow Fashion timeless is sustainable. This is the spirit of the NCC Ecobrands group, a win-win relationship – social and ecological gains in a new concept of fashion production. That’s Slow Fashion. Hi, I’m glad you liked this article, thank you for using and sharing it! Hello Sarah, thank you for writing this article on our work. We are very happy about it.